We love Art in all its forms and endeavor to provide the tools the artists and creators need to bring their visions to life. This blog is one of the ways we hope to communicate with the artist and creative community at large and share things we find interesting. David Kassan is a giant in the contemporary Art World, best known for his life-size representational paintings, which combine figurative subjects with abstract backgrounds. 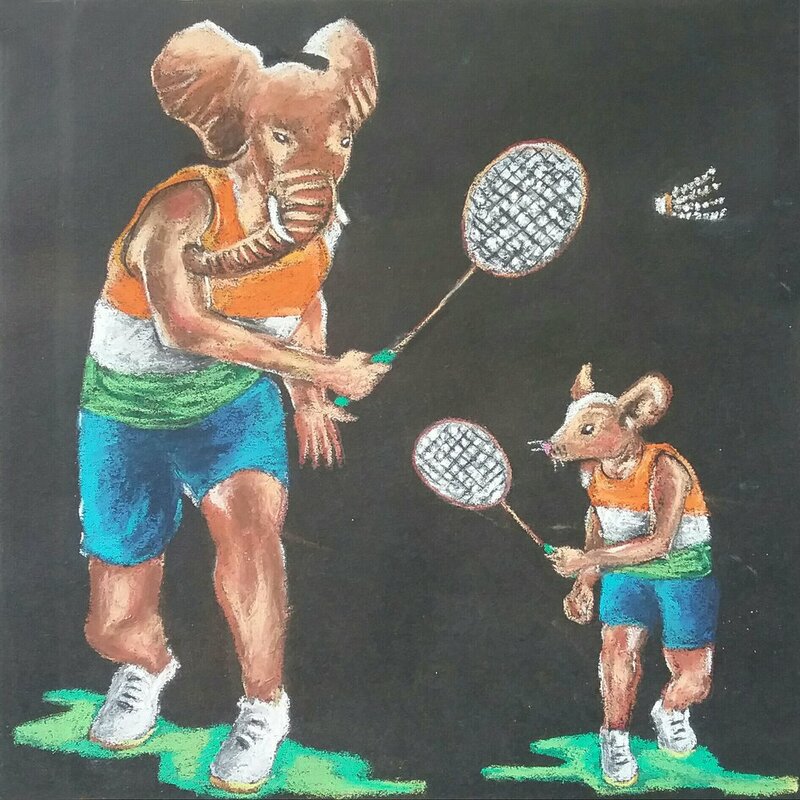 Kassan is also a much sought after drawing and painting instructor because of his steadfast commitment to the age old discipline of working from life and creating compelling expressions of the human condition. He has given painting / drawing seminars and lectures at various institutions, and universities around the world. David Kassan, along with General's® have created a unique, Collectible Signature Drawing Set. Escoda Paint Brushes - Available Now! We are happy to announce that we are now able to offer Escoda Brushes both at our Physical Location as well as Online for customers located all over India. Mission Gold Pure Pigment Sets - Now Available! The Mission Gold Pure Pigment Set of Watercolors is the perfect set to start out your journey exploring the Mission Gold Range. Lauded by numerous experts as some of the best Watercolors they have ever used the Mission Gold range of Watercolors allows for the maximum range of artistic expression. Choosing your materials is like choosing the weapons for your next artistic battle or endeavour. Read on to find out our advice on how to get started with lettering with the right materials. Have you ever wanted to explore the art of graffiti but didn’t know where to start? Fret not we’ve got you covered. Read on to know more. We’ve got a great guide to canvases so that you can get started understanding them better and start using them for your next creation. Putting together your very first sketchbook is exciting but can also be intimidating. It doesn’t have to be. We are here with you every step of the way and have compiled our quick process to getting started into this post. Do bear with us while we update Google Maps & other resources. 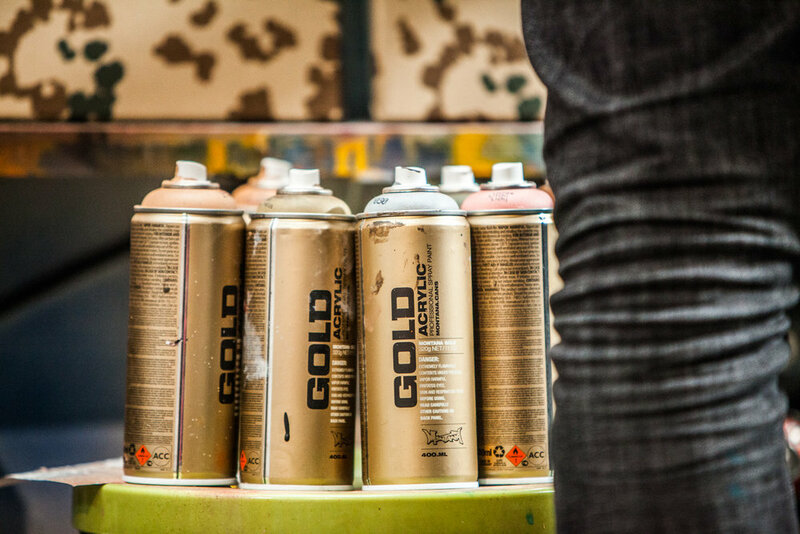 Montana GOLD spray paint is famous for its superior quality. High-covering and quick-drying NC-Acrylic lacquer. Highly reliable, it provides artists with the perfect tool for creative work. The specially developed Low-pressure system guarantees maximum accuracy to meet the highest requirements while giving professional results! 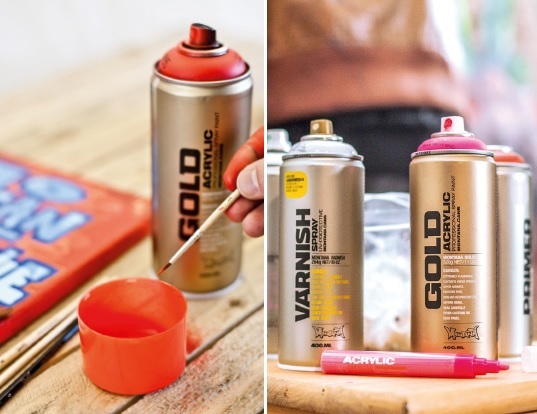 With 215 colors in total Montana GOLD offers one of the largest and most concise color range available in spray paint. Montana GOLD can be applied on canvas, wood, concrete, metal, glass or even flexible surfaces. Perfect also in combination with the Montana TECH and EFFECT sprays as well as the water-based ACRYLIC markers! The largest member in the Montana Cans family is the 750ml ULTRA-WIDE can. An ideal tool for contemporary urban calligraphy and ultra wide line work. Comes in Chrome, Black, Red & Blue with a spray width variation from 15cm if applied rapidly at close range, to approx. 60cm if applied slower at a greater distance to the desired surface. We're creating a Workshop Database! Hello artists, designers and hobbyists! We are in the process of compiling a database for people looking to learn a new hobby, a new technique, a new style. We get tons of people asking us about the best classes, commissioned artists, caricaturists, mural artists etc. We are also on the lookout for people to contribute to our growing YouTube channel. We are looking for: Calligraphy, lettering, fabric painting, jewellery making, printmaking, quilling, paper flower making, watercolour painting, canvas techniques, manga workshops, fashion illustration, face/body painting, crockery/glass painting, zendoodlers, graffiti art… or anything that uses products that you can find at Art Lounge! You can be anywhere in India! Do fill out the following form if interested! Apologies for the delay! Finally, we have your grand prize winner! Thank you to all those who participated. We all know the visual delights that the festival of colour brings with it, but what about the minutes, days and months after? Yes, there are the less positive aspects, but it also marks the beginning of summer and the destruction of darkness. Both nature and people are transformed before, during and after Holi. So start those creative engines! We will select one winner who will get some exciting stuff from us! Create your best and send it in before April 16th. Winners will be announced on May 1, 2017. 1) Topic: You are free to abstract the topic as you please. Your response can be literal, symbolic, humorous, with a social message, anything! We are looking for a unique vision or concept and how well it is visually communicated. 2) Medium: Only the following media is acceptable: pencils, paints, inks, markers, pastels, charcoal or a combination of these. No magazine collaging or digital work will be allowed. This is an ode to traditional art! We will be considering the quality and execution of the media chosen. 3) Size: A3 or A4 only. 4) Submission: Scan/photograph your entry and Email it to admin@artlounge.in as a high resolution JPEG attachment with the Subject Line: #HoliAtArtLounge along with your Full name, Postal Address, Phone Number, Age, Social Media pages in the main body. Alternatively, you can drop off the physical artwork to our Churchgate store in Mumbai with all the details before Saturday, April 16th by 7pm. If you aren’t the winner, the artwork will be there for pick up post May 1st. 5) Social Media: Do post your entry to Facebook, Instagram with #HoliAtArtLounge. Images received as entries may be used in promotional material related to the contest/Art Lounge across social media platforms or otherwise. 6) For the Winner: The winner must courier their original signed artwork to us within 10 days of notification in order to receive their prize, which in turn will be couriered by us to them within 10 days of receipt. 7) Disclaimer: The final decisions of the contest (deadlines, winners, rules, prizes, plagiarism issues) are up to the sole discretion of Art Lounge. Art Lounge has the right to edit, alter, cancel the contest at any point. Forget 2016 and all the demonetisation woes... The New Year always brings with it excitement, joy and prospects! Let's welcome 2017 with an embrace! Create a POSTCARD addressed to Art Lounge. The theme is ‘2017'! Let's get creative! We will select one winner who will get some exciting stuff from us! Create your best and send it in to admin@artlounge.in or to the Churchgate Store before December 31st. Share it on Facebook and Instagram with #NewYearsAtArtLounge. Winners will be announced on January 10th. 1) It must be the size of a traditional postcard ie 4x6 inches that has a front for the visual and back for the letter and address. 2) You can use any medium (dry, wet, collage, mixed media) to create your postcard. It cannot be digitally edited or created in any way. You can only scan both sides to send it in the E-mail. 3) The front visual must reflect the theme i.e. ‘2017’. The back must be addressed to the Art Lounge with a creative note. 4) The competition is open to anyone residing in India. 5) There is no age restriction. 6) This is a multiple-entry competition. Each person can send in multiple postcards. 7) A high-resolution scan or photo of the entry must be mailed to admin@artlounge.in or the physical postcard must be mailed or dropped off to our Churchgate store before 7pm on December 31st. 8) The winner must courier their original signed postcard to us in order to receive their prize, which in turn will be couriered by us to them. 9) The final decisions of the contest (deadlines, winners, rules, prizes, plagiarism issues) are up to the sole discretion of Art Lounge. Art Lounge has the right to edit, alter, cancel the contest at any point. 10) Images received as entries may be used in promotional material related to the contest/Art Lounge across social media platforms or otherwise. We are all so accustomed to looking at a canvas on a wall. Granted, many spectacular things have been created this way, but after a while, one begins to wonder, ‘is there no way to go forward from this?’. Sen Shombit’s show “Dèsordre” is testament to the fact that the canvas continues to evolve and take new form. Using several smaller canvases at different angles to create installation art, he takes the notion of what we consider to be traditional and spins it on its head. Of course, the main focus of the exhibition was Gesturism. 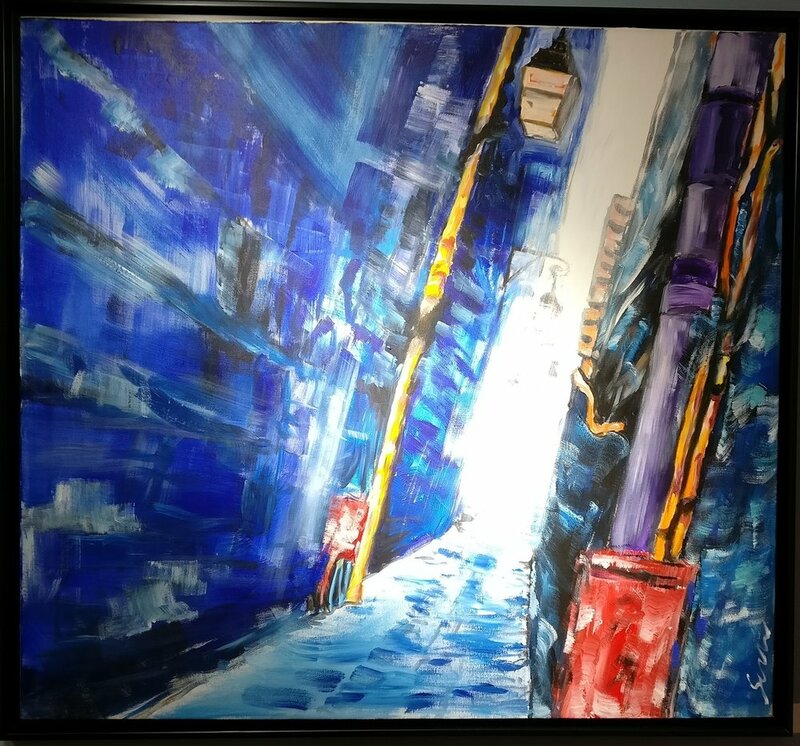 Bright, almost neon colours have been used in expressive strokes, sometimes using knives and barriers on the canvas to create layers of light and dark. Contrasted with the first floor, the second was an explosion of colour and culture, with Shombit’s famous art car transferred onto canvases, each one showing us an unique perspective on what is considered to be quintessentially Indian. A large, enclosed piece of floor had the artist’s palettes that he had used throughout the process. A wise decision as one may mistake his paintings to be a flood of bright colours and that alone. Here, we could see the astounding array of shades, tones and colours used by the artist. In a single installation, the entire exhibition was tied together in these palettes. However, the most impressive pieces are undoubtably the installation canvas pieces. They challenge the viewer to view art in a different way. The scenes are muddled, and one has to work with the colours and shapes on each piece from different angles to come to a conclusion that may or may not satisfy them. I spent about 20 minutes trying to decipher a piece whose parts were jumbled, as though the intent of the artist was for us to solve the painting. However, as I walked away from it, annoyed and frustrated that I could not figure it out, it dawned on me that I have never seen an art piece that had challenged me in this way. The exhibition is experimental, brave, beautiful and challenging. It is not for those whose tastes lie in the more traditional. However, if you are up for a challenge, this is the exhibition to visit. Sen Shombit is an Indian-born contemporary artist from France. Check out more of his work here. Handles are commonly comprised of various hard woods depending on where they are manufactured and are proportioned to balance in your hand, offering greater control. Layers of varnish and paint are applied to protect the wood from swelling. Hair is positioned within the ferrule to offer the desired responsiveness without going limp. As much as twenty-five percent of the hair falls within the ferrule or is trimmed at the back end to allow secure fastening of the handle. The hair is thoroughly glued to the ferrule which seals the brush and ferrule to avoid shedding of the hair and prevent the seepage of water or medium into the brush. In addition, the ferrule is often crimped to ensure its hold on the handle. This connects the brush head to the handle. Most ferrules are nickel plated brass to ensure they resist corrosion and splitting. Generally the long handle, about 9” in length, is for easel work/traditional oil and acrylic painting. A short handle, 5” to 6” in length, is for watercolor, mixed media and other painting done at a table. These are some commonly used shapes for brushes. Jake Parker started the INKtober initiative in 2009 as a challenge to improve his inking skills and develop positive drawing habits. It has since grown into a worldwide endeavor with thousands of artists taking on the challenge every year. Check out his INKtober page here ! Looking to start your own? Start with products from Art Lounge! India Art Festival is presenting its sixth edition from 06 to 09 October 2016 at Nehru Centre, Worli, Mumbai. 42 art galleries from six countries and more than 500 artists are participating from 25 different cities from all over the world. 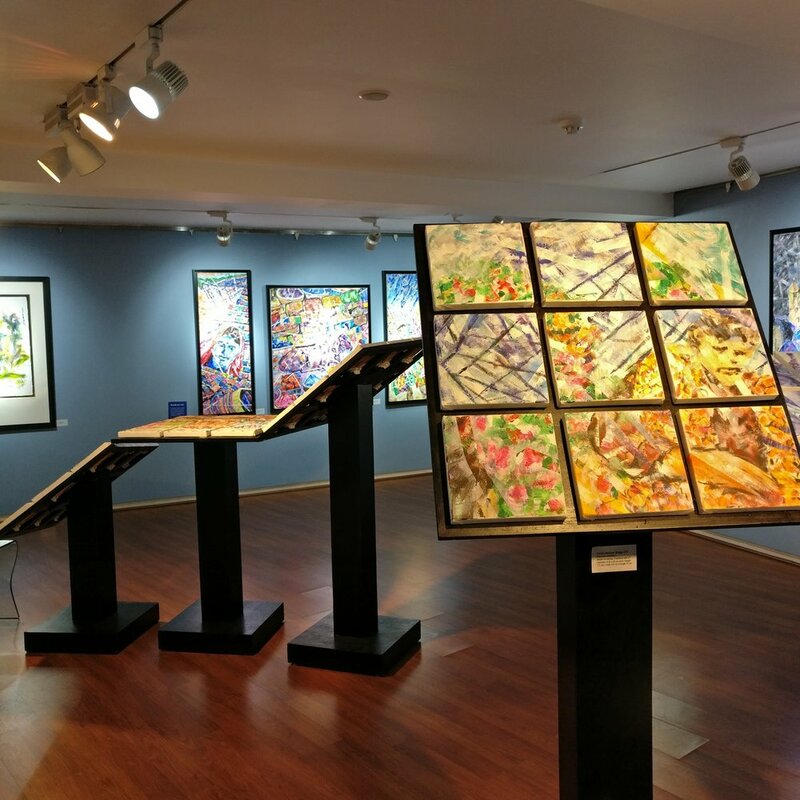 Artists from rural and urban areas along with art galleries participate in large number with all kinds of artworks including paintings, sculptures, photographs, original prints, serigraphs and installations. Visitors will be privy to some spectacular seascapes, landscapes, cityscapes, rural and urban scenarios, nudes, figurative, still-lifes, semi-abstracts & abstracts, highly realistic, religious & spiritual artworks amongst other works. It also host the ‘IAF Conversations’ a series of panel discussions, talk shows, presentations and demos in a two-days seminar on the issues & topics concerning contemporary art. In this two-days educative seminar, experts are invited to share their perspectives with the audiences on the subjects ranging from contemporary art and economy, art collection, exhibitions, studio practices, art galleries and art infrastructure in general. Dr. Deepak Kannal, former dean, Arts Faculty, M S University Baroda will have oneto-one conversations in four sessions spanning over two days with the well-known artists Prabhakar Kolte, Dr. Sudhir Patwardhan, Dilip Ranade and Suhas Bahulkar at an auditorium adjoining the exhibition hall at ground floor, Discovery of India building, Nehru Centre from 2.30 pm to 6.30 pm on 07 and 08 Oct 2016. Since its first edition in 2011, India Art Festival successfully initiated the process of democratization of art market at two levels – first by mingling less-articulate rural artists with the metro-bred urban artists and second by bringing out the very ‘art viewing & buying’ process from confines of conventional art spaces. And here they are! Tap the picture to see the others... Thank you to all the artists that entered! Keep sending us your work, we need great artists like you! Stay tuned for more contests, articles, product updates, discounts and more... Sign up for our exclusive newsletter here: http://eepurl.com/bB14AP and follow us on Facebook, Instagram and Twitter! 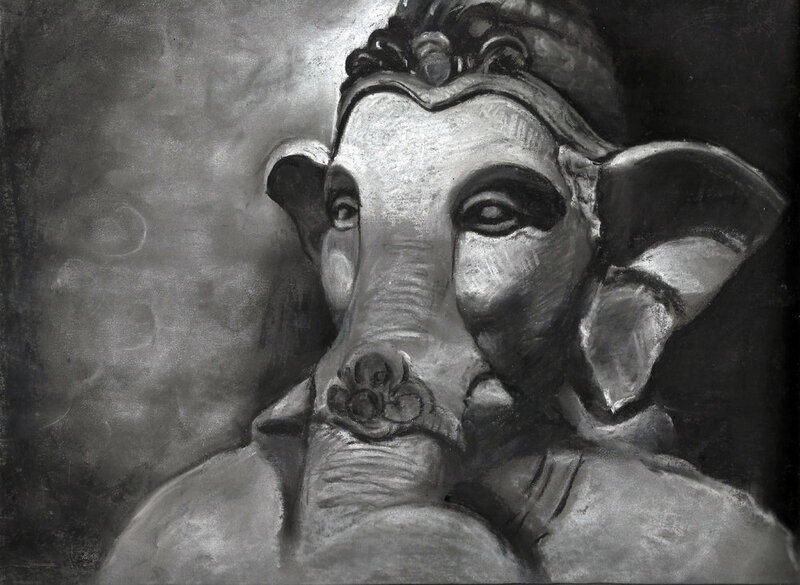 Let’s welcome Ganesha this year with an artwork that best captures the spirit of Ganesh Chaturthi using soft pastels or chalk. Your subject matter can be Ganesha, a procession, a pandal… we’ll let you come up with the ideas! The work can be expressed from representational to abstraction. Create your best and send it in to admin@artlounge.in before August 28th. Share it on Facebook and Instagram with #GaneshaAtArtLounge. Winners will be announced on September 1st, just in time for Ganesh Chaturthi! 1) You must use soft pastels or chalk on a surface of your choice to create your masterpiece. It cannot be digitally edited in any way. 2) The work must reflect the theme i.e. 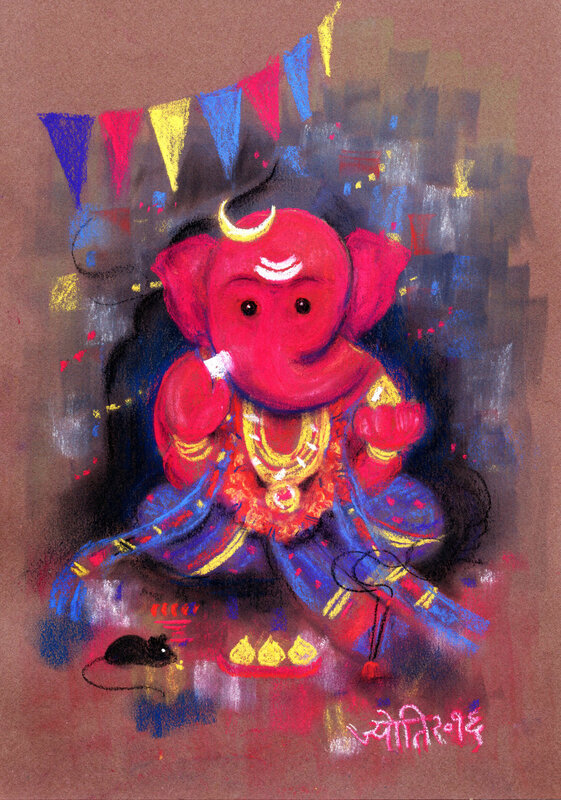 ‘Ganesh Chaturthi’. The judging of this interpretation is up to the sole discretion of the panel of judges. 3) The artwork can be of any size. 4) The competition is open to all artists residing in India. 6) This is a single-entry competition. Each artist can send in only one artwork. 7) A high-resolution scan or photo of the entry must be mailed to admin@artlounge.in before the deadline of August 28th 2016 by 1pm. 8) The final winners must courier their original signed artworks to us in order to receive their prize, which in turn will be couriered by us to them. So pick up those pastels and chalks and start creating! Since 1948, MABEF has been making wooden painters’ easels with creativity, expertise and care exhibited by the company’s founder, Mariotto Albino Bruno e Figli, whose initials form the company name. 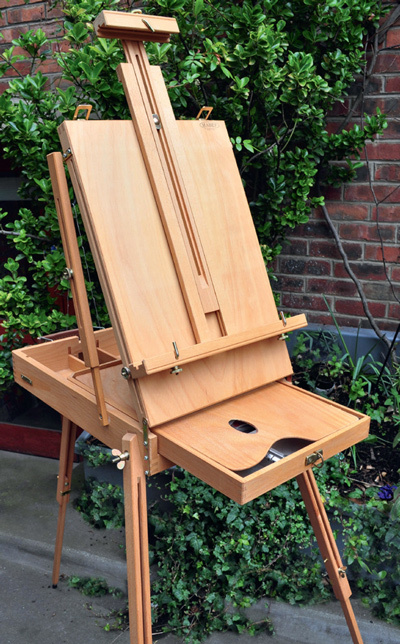 By the 1970's, the company had become the symbol of high-quality Italian easels throughout the world, an undisputed presence in France, Belgium, Germany, Great Britain and United States; in 1981 the company also landed in Japan and South Africa. 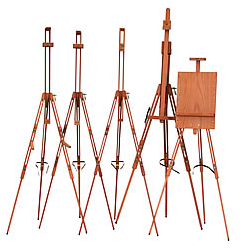 Today, the easels produced by MABEF are a symbol of the MADE in ITALY. The brand’s guarantee derives from a constant and passionate work, which draws strength from the artisan experience and takes advantage of new technological know-how, design and constant focus on quality in order to guarantee a unique product intended to last a lifetime. The ingenious technical solutions and accurately selected raw materials ensure sturdiness in time. In fact, MABEF uses only high-quality solid beechwood that comes from controlled areas where prompt reforestation is ensured (in 2004 MABEF obtained the FSC certification, www.fsc.org). This type of wood is extremely resistant and its beauty increases in time, also thanks to a finish with natural oils, which keep the raw material “alive”. 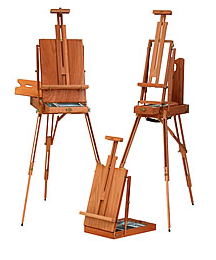 MABEF easels are simple to use, and they allow the artistic work to be set up quickly and easily. They are easy to assemble because they are designed as a kit, and they are also sturdy and reliable, equipped with an international lifetime guarantee. In recent years, MABEF has paid special attention to ecological and environmental problems, and it has decided to reconvert all its production scrap by recycling it 100%. As a matter of fact, through a complex crushing procedure, wood shavings are turned into pellets, an environmentally friendly fuel which is used to heat the entire company. Art Lounge is proud to associate with a brand like MABEF that continues to satisfy the most demanding artists, museums, restorers, auction houses and painting aficionados. •MABEF articles like stools, palettes, clipboards and more! Andre Masson was one of the great minds of surrealism. Unlike the painful detail of Max Ernst’s or Salvador Dali’s paintings, Masson drew, and he drew beautifully. Most people think surrealism is limited to detailed representations of the inner psyche of the artist, through impressively large paintings. However, through Masson’s work, one can truly appreciate the beautiful, simple lines ofpen and ink. However, there has been no compromise on the complexity of the drawings. For example, Furious Suns (1925). Barely noticeable suns are represented by circles, comprising of small lines, while the rays, shown as straight lines seem to almost connect each part of the figures, a blending of body parts, fabrics and more, all which seem to be suspended. A particularly interesting piece of his is The Great Lady (1937) which is done in sand, pebbles, seashells and coral. 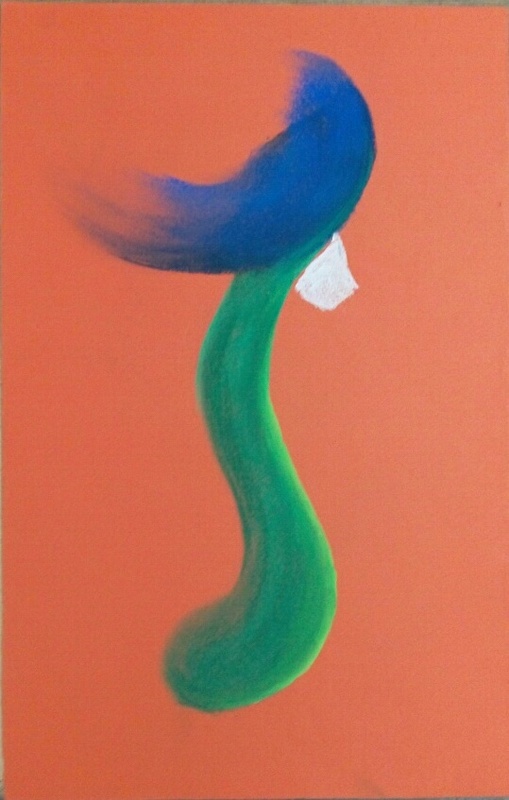 It forms the abstract figure of a woman, with a feather on her head. The incorporation of things such as feathers was a first, however, not for the worst. Masson was one of the leading figures of surrealism. One need only glance at his beautiful, delicate and complex work to see that. There is something calming about having greenery in the house. For most of us in the city though it becomes something we can only aspire to have given the cramped nature of our houses.